In preparation for this year's World Backup Day, Acronis has released new research into the data protection habits of users around the world revealing that 65.1 percent of consumers (up from 29.4% last year) have lost data as a result of an accidental deletion, hardware failure or software problem. 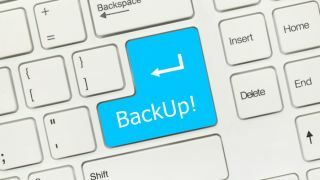 The firm's 2019 World Backup Day Survey also showed that nearly all consumers (92.7 percent) are backing up their computers which is a 24.1 percent increase from last year and the single largest year-over-year increase. The number of devices being used by consumers continues to increase with 68.9 percent of households reporting they have three or more devices including computers, smartphones and tablets. The increase in reported backups suggests that consumers are at least trying to protect their data. This year, only seven percent of respondents said they never back up their data while nearly a third of those surveyed last year (31.4%) did not back up their personal data. To protect their data, 62.7 percent of consumers keep it nearby, backing up to a local external hard drive (48.1%) or to a hard drive partition (14.6%). However, only 37.4 percent are using the cloud or a hybrid approach of cloud and local backups. Acronis' research revealed that consumers believe having access to data is the greatest benefit of creating backups though their lack of cloud adoption presents a disconnect because data stored in the cloud is more readily available than data stored locally.